Prof Rejko Krüger has been FNR PEARL Chair at the Luxembourg Centre for Systems Biomedicine (LCSB) of the University of Luxembourg since 2014. There he leads a team of scientists working on new approaches for the diagnosis, prevention and treatment of Parkinson’s disease. Rejko Krüger also works as a medical practitioner at the Centre Hospitalier de Luxembourg (CHL). Parkinson’s disease is a neurodegenerative disease in which prematurely dying nerve cells in the midbrain lead to movement disorders such as shaking hands and a shuffling gait. The disease cannot be cured yet, but an early diagnosis can considerably slow down the course of the disease if appropriate therapeutic measures are taken. FNR PEARL Chair Prof Rejko Krüger, a German national, leads a research team at the LCSB while also working as a medical practitioner at the CHL. Rejko Krüger and his team are investigating new diagnostic methods and examining blood samples from Parkinson’s patients in order to identify biomarkers. Biomarkers are measurable indicators of disease and allow early diagnosis. This is particularly important because Parkinson’s disease only develops clinical symptoms when the disease is well advanced. Further indicators of Parkinson’s disease can be determined using neuropsychological test procedures, which can be used, for example, to examine the sense of smell, which can be impaired at an early stage of the disease. The video below also shows how a Parkinson’s diagnosis can be made using coordination tasks and how ‘smart shoes’ help patients. Smart Shoes’ have sensors in the soles that can detect disease-related abnormal gait movements. Rejko Krüger is pursuing an innovative therapeutic approach with the use of pluripotent stem cells. Pluripotent stem cells can develop into any cell type of an organism, including brain cells. In order to develop individually tailored therapies, patients’ own skin cells are removed and returned to the state of the stem cell. These cells are then transformed into brain cells, on which the efficacy of various substances can be tested in the laboratory. In this way, personalised treatment concepts can be developed for Parkinson’s patients. In 2015, the FNR launched the National Centre of Excellence in Research on Parkinson’s disease (NCER-PD). The aim of this new 8-year programme, which involves all national actors in biomedical research, is to identify new methods for the early diagnosis of Parkinson’s disease (PD) and the stratification of patients in sub-groups. One key element of the programme is a national long-term clinical PD study, which already started in 2015. The work of Prof Rejko Krüger contributes to the NCER-PD research. 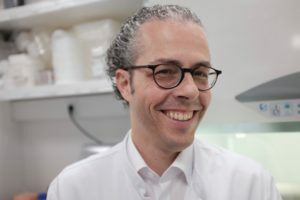 Rejko Krüger is Professor of Neurology and Study Director of the Clinical & Experimental Neuroscience Group at the Luxembourg Centre for Systems Biomedicine (LCBS). He also works at the Centre Hospitalier de Luxembourg (CHL) as a medical practitioner. Rejko Krüger completed his studies at the Ruhr University Bochum. This was followed by various positions as physician, senior physician and senior senior physician at university hospitals. Before Rejko Krüger joined LCBS in 2014 as FNR PEARL Chair, he was also Head of the Parkinson’s Outpatient Clinic at the University of Tübingen. 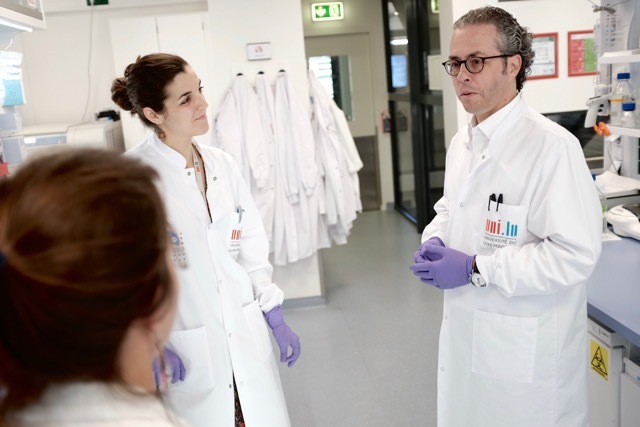 With the PEARL programme, the FNR offers Luxembourg research institutions attractive funding to enable them to draw established and internationally recognised researchers from abroad to Luxembourg. 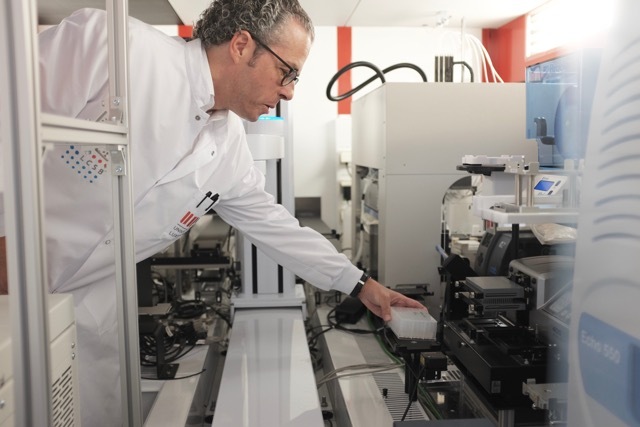 Through the recruitment of outstanding scientists in strategically important areas, the FNR aims to accelerate the development and strengthening of Luxembourg’s national research priorities. PEARL projects have a lifespan of five years with a financial contribution of between 3-4 MEUR by the FNR. The financial contribution can be used flexibly to implement the research programme at the host institution.